The tort of civil fraud (as opposed to criminal fraud) was reviewed by the Supreme Court of Canada in Bruno Appliance and Furniture Inc. v Hyrniak 2014 SCC 8 and concluded there are four elements . 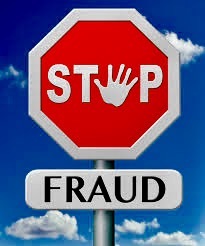 First, in order to sustain an action of deceit, there must be proof of fraud, and nothing short of that will suffice. Secondly, fraud is proved when it is shewn that a false representation has been made (1) knowingly, or (2) without belief in its truth, or (3) recklessly, careless whether it be true or false…. Thirdly, if fraud be proved, the motive of the person guilty of it is immaterial. It matters not that there was no intention to cheat or injure the person to whom the statement was made. 19 This Court adopted Lord Herschell’s formulation in Parna v. G. & S. Properties Ltd.(1970),  S.C.R. 306 (S.C.C. ), adding that the false statement must “actually [induce the plaintiff] to act upon it” (p. 316, quoting Anson on Contract). Requiring the plaintiff to prove inducement is consistent with this Court’s later recognition in Snell v. Farrell  2 S.C.R. 311 (S.C.C. ), at pp. 319-20, that tort law requires proof that “but for the tortious conduct of the defendant, the plaintiff would not have sustained the injury complained of”. 20 Finally, this Court has recognized that proof of loss is also required. As Taschereau C.J. held in Angers v. Mutual Reserve Fund Life Assn. (1904), 35 S.C.R. 330 (S.C.C.) “fraud without damage gives … no cause of action” (p. 340). (4) the plaintiff’s actions resulted in a loss.